This pure stevia extract IS NOT an artificial or chemical sweetener. Our extract is made from the non-bitter, naturally occurring, sweet component of the herb stevia – a glycoside called Rebaudioside A. This naturally sweet component is isolated from the stevia leaf, using a gentle water extraction process. This pure stevia extract IS NOT an artificial or chemical sweetener. Our extract is made from the non-bitter, naturally occurring, sweet component of the herb stevia – a glycoside called Rebaudioside A. This naturally sweet component is isolated from the stevia leaf, using a gentle water extraction process. We carefully monitored the process from leaf to powder and you can be assured that no bleaching occurs, nor are any unhealthy chemicals used. There are two ways our stevia stands apart. Most stevia extracts on the market use lower concentrations of Rebiana A (the sweetest part of the leaf) which results in that bitter taste we all want to avoid. Of course, this is cheaper for the company but if you despise a bitter sweet flavor in treats – us too! Blech! Our extract has the highest potency of Rebiana A available – 99%. Our stevia is also so minimally processed, it has not even been granulated which means it remains as a fine white powder. – like a dust. In the world of stevia products this is rather non-conventional, but we wanted to bring you the most natural and minimally processed product possible. When you receive your stevia pouch, tap it on your counter a few times then zip the seal before opening as the powder likes to plume a little when first opened. You’ll find a tiny spoon (1/32 of a tsp.) inside the pouch. This is your “doonk” spoon. Make sure to watch the video on our website about the art of “doonking” your stevia. Too much fun! When adding the powder to your drink or recipe with your doonk, turn spoon downward and gently tap it on the side of your glass or bowl as you empty it out. This will allow the stevia to flow out of the spoon. Don’t put the doonk back in the pouch as you’ll have to dig around in the white powder to find it. Find your doonk its own special home somewhere else in your kitchen. Our Pure Stevia Extract Powder puts desserts and sweets back on the YES list for those who want to lose weight or watch their blood sugar. 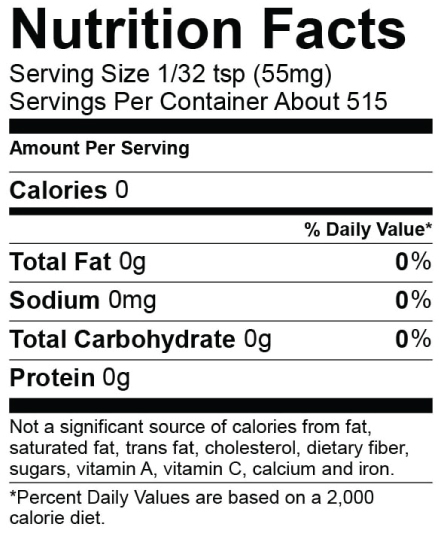 It is a zero calorie sweetener and does not raise blood sugar levels. It is considered safe and even beneficial for diabetics or those who suffer from hypoglycemia. 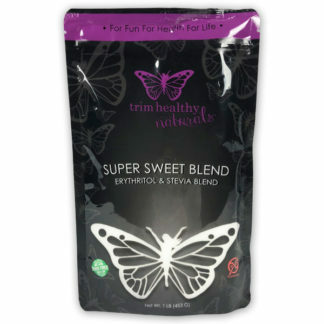 Out of all our Trim Healthy Mama sweeteners, the pure extract is the most economical if you are pinching pennies. A little goes a long way. You only need a few dashes doonks in your smoothies or single serve muffins. Larger cakes may only need ½ to ¾ tsp. to sweeten the entire cake. Start with a very small amount, taste test, then add more if needed. We made sure the extract you hold in your hand is non GMO, USDA certified organic and is GMP and FDA compliant. We are making available to you the very Stevia we have in our own kitchen cupboards and use to create our Trim Healthy Mama recipes. I usually do not like plain stevia because it is too bitter; however, this is wonderful! I use it in smoothies, drinks, oatmeal, etc. And this little bag lasts forever! I tried several cheaper brands of pure stevia and this was the winner. I can order a couple bags and it last me 6-9 months . I use it in my coffee, induvial desserts, and anything sweet. I also love baking ! I sometimes use a small amount of xylitol and ethryitol along with this stevia for a just like sugar taste. And it doesn’t take much stevia, ethryitol, or xylitol to sweeten it perfectly with a combination. I love this product, it takes so little, yet makes it nice and sweet!! I can’t get enough stevia! It’s a wonderful replacement. (My system doesn’t handle erythritol or xylitol well; it makes me bloated and gassy). I use stevia in smoothies, tea, and even muffins. I have tried other stevias, but this one is my favorite. Superb flavor and price. Love it’s blend-ability. It disperses in very nicely. 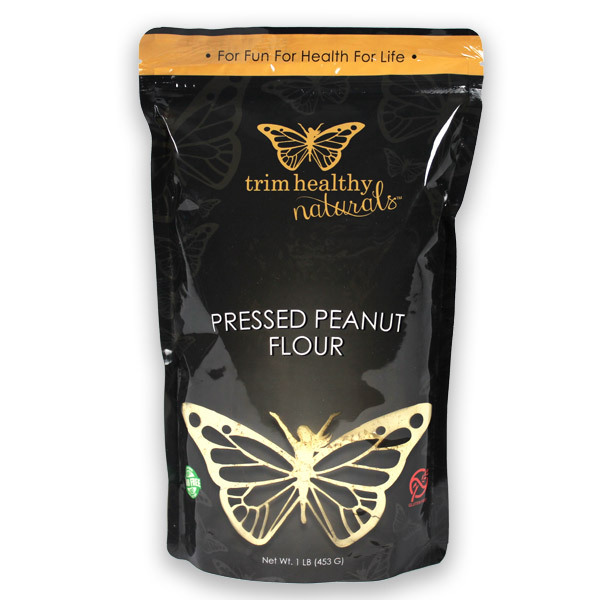 Thank you THM for products I can trust! It is very difficult to find PURE stevia and this is it! Great product!! I have had a serious problem reducing my sugar intake during the past 3 yrs after 9 yrs with no problem after bariatric surgery. (I lost 130 lbs & swam Alcatraz to SF 2 yrs in a row.) However, my eating habits got worse (after a non-physical injury car accident but with PTSD & my mother’s stroke & subsequent death 2 yrs ago). I vastly reduced my exercise (mainly swimming) 3 yrs ago and have thus put 22 lbs back on. My gastroenterologist told me to cut all wheat, dairy & artificial sugar out of my diet to prevent “dumping” syndrome and unpleasant gas. I cheated a little with Stevia/Truvia but I didn’t understand that all Stevia products are not the same…that most have added ingredients which are the “bad guys”. 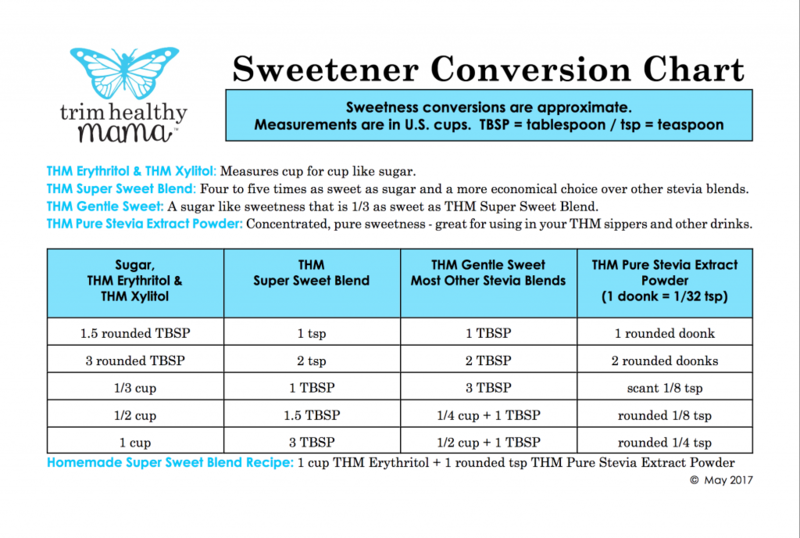 Now I use a little THM Stevia with Nut Pods creamer in my coffee and it’s wonderful as I’m free of those negative symptoms. I’m trying to stick to a modified KETO/Whole30 diet, too. FYI: I LOVE the THM Moonshine and drink a few quarts a day, which is a way I can get water down. My energy is up because I’m not eating a bunch of empty carbs. Thank you so much for such a wonderful product!!!!!! I just received my first shipment today (a day earlier than projected btw.) I haven’t started THM yet but I had to try your stevia. I made a cup of decaf and it was amazing with half and half. I can do this! Will be ordering more tomorrow! I have tried many different kinds of Stevia through the years and this by far the best tasting Stevia!